Colorado’s premier bluegrass quartet, Hot Rize, gathered on Thursday, May 24, on the North Lawn of Chautauqua Auditorium for a brief dedication through word and song of the newly inscribed bench and gathering spot in honor of the late Charles Sawtelle. 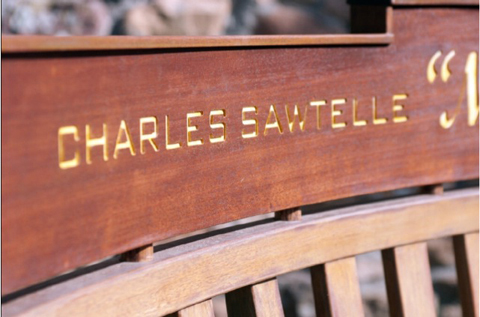 The bench was installed years ago through a collaborative effort between Sawtelle’s parents, the late Dan and Polly Sawtelle, and the Colorado Chautauqua Association. Only now, however, has the proposed inscription honoring Charles been attached to the bench, making the process complete. Charles Sawtelle, known lovingly as the Bluegrass Mystery, was born in Austin Texas, but grew up mostly in Colorado. When Hot Rize formed in 1978, Charles, like bandmate Nick Forster, was a full time employee of the Denver Folklore Center. Hot Rize members, Pete Wernick, Tim O’Brien, Nick Forster and Bryan Sutton, were to perform following day, May 25, in Denver at DU’s Newman Center in an event honoring the 50th Anniversary of the Folklore Center. Charles Sawtelle died of Leukemia in 1999 at the age of 52. He was a profoundly creative person who got his degree in fine arts with a focus on ceramics. 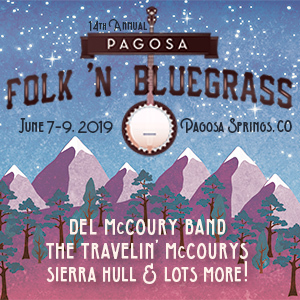 He ran a small recording studio at his home in North Boulder called Rancho Deville where he produced records for many local and national artists and recorded his posthumously released solo CD. His unique style of guitar playing and his commitment to finding the most soulful approach to any style of music helped make him — and Hot Rize — well loved in the national music community.